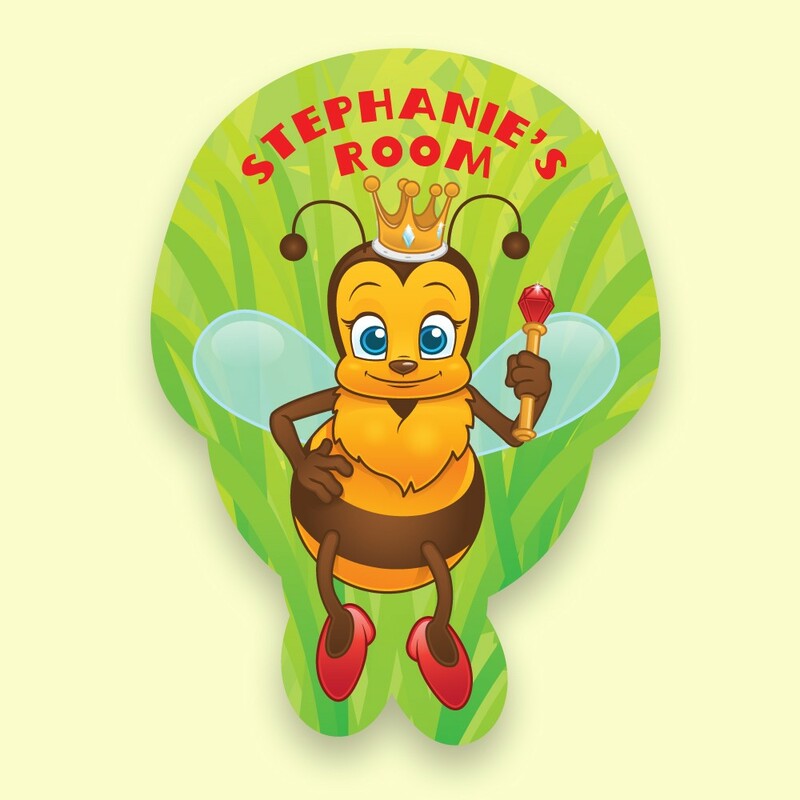 The special little girl in your life is going to adore her Queen Bee personalised bedroom door plaque. 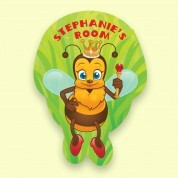 Regal with her sceptre yet fashionable with her high heels she certainly adds plenty of character to the bedroom door. The colours come to life on the 3mm opal perspex on which it is printed and is delivered with sticky pads for door mounting. Made to order with any name up to 12 characters printed on the hand illustrated design. Laser cut to its own unique shape.